Ride-hailing and home-sharing are two of the most talked-about sharing-economy services – and each has been drawn into a broader debate over whether people of color experience benefit from these new technologies. In the case of ride-hailing apps, like Uber and Lyft, proponents of these services often argue that they can help promote racial equity in transportation – for instance, they might serve customers in lower-income or minority neighborhoods where traditional taxis are often scarce. 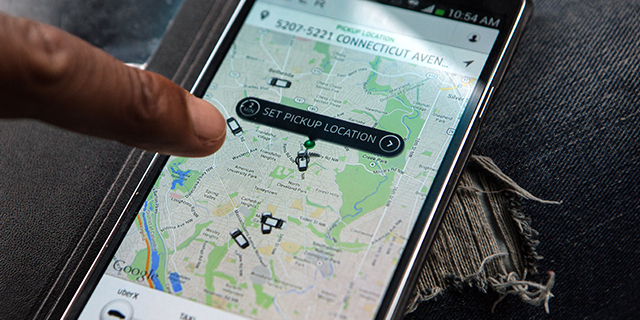 Overall, 15% of blacks and 18% of Latinos have used ride-hailing, similar to the 14% of whites who have done so, according to a Pew Research Center survey exploring the digital economy. And a new analysis of this survey data finds that Americans who live in majority-minority communities (census-block groups where more than 50% of residents are racial or ethnic minorities) are more likely than those who reside in predominately white neighborhoods to say that ride-hailing apps serve neighborhoods that taxis won’t visit. Just over half (53%) of ride-hailing users living in majority-minority communities feel that this statement describes ride-hailing well, compared with 46% of users living in majority-white neighborhoods. (Many ride-hailers – about four-in-ten overall – were unsure if this statement described ride-hailing well). In sharp contrast to ride-hailing services, few blacks make use of home-sharing sites like Airbnb and VRBO: Just 5% of blacks have ever used these services, compared with 13% of whites. And although blacks are less likely than whites to say they travel overnight away from home for work or personal reasons, even among those who do travel on occasion, whites (16%) are still substantially more likely than blacks (5%) to use home-sharing services. A Harvard Business School study found that users with “African American sounding names” were 16% less likely to be accepted as guests, and black and minority users have used the #airbnbwhileblack hashtag to share their frustrations and highlight possible discrimination. In response to these concerns, a group of senators recently asked the Federal Trade Commission to open an investigation into the home-sharing industry. And just this week, Airbnb hired former U.S. Attorney General Eric Holder to develop an anti-discrimination policy for the platform. Blacks overall make significantly less use of the range of 11 shared or on-demand online services that the Center studied in its survey. About four-in-ten blacks (41%) had not used any of those platforms compared with 26% of whites and 27% of Hispanics.